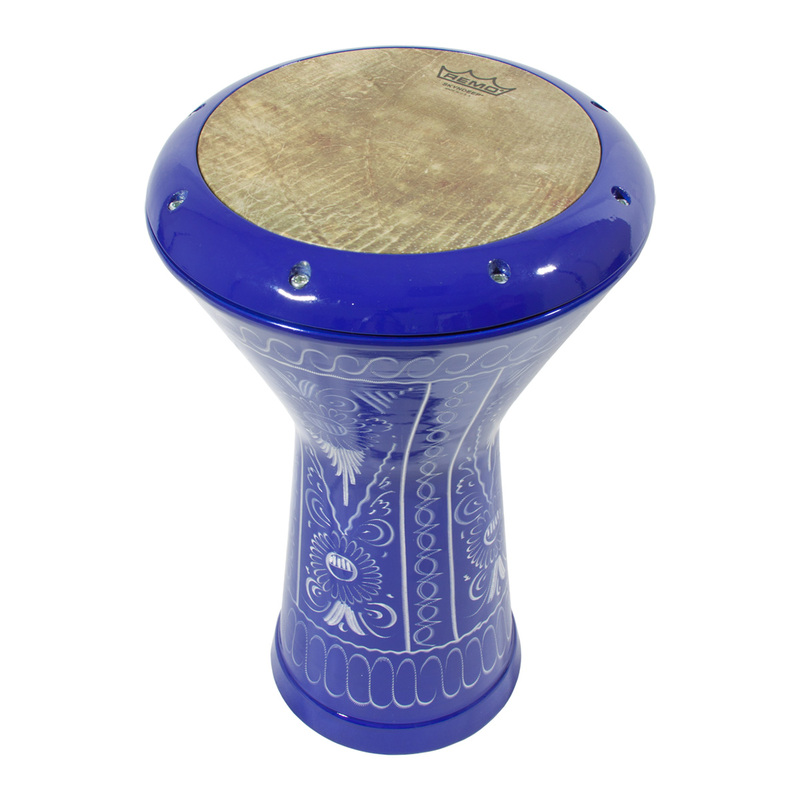 Mid-East 16.5 Inch Aluminum Doumbek Skin deep Etched Blue. Mid-East Aluminum Doumbek Skyndeep Head Erzincan Etched Design Blue 11.5" x 16.5". 16 1/2" x 11 1/2". Made of aluminum with an Erzincan design that is hand sketched. There are 8 tuning bolts in the collar. Tuning tool and nylon case included. Designs and Patterns may vary. Has a rough finish.